Cici Boiler Rooms was recently contacted by a service company in Kentucky to help with a school’s coal fired boiler. As many know, coal is no longer the preferred fuel for heating. Cici worked with the customer to come up with some cost effective options to provide heating for the school. The coal fired boiler was in very poor condition and a natural gas retrofit was not going to be a long term solution. In the end, the customer chose to go with a Laars Magnatherm 96% efficient condensing boiler and a Wilo Top-S circulating pump. 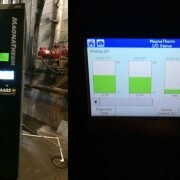 The service company installed the Laars Magnatherm with no issues and the school is looking to replace their second coal fired boiler with another Laars Magnatherm because of their positive experience. 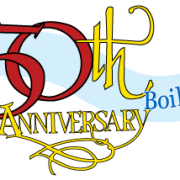 Cici Boiler Rooms, Inc just celebrated our 50th Anniversary of Excellence. In honor of this milestone, we look back on some milestones that have made our company what it is today. On October 1, 1965, Tom J. Cici, Sr. decided to put his years of HVAC experience to work for the Evansville tri-state area. 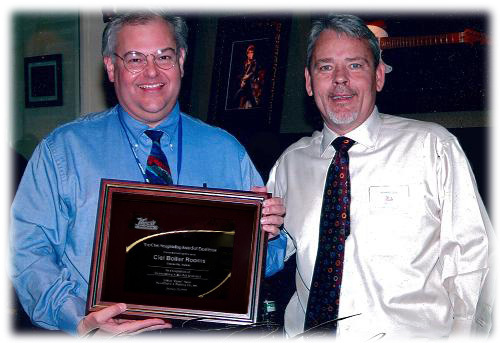 The company, Cici Engineering Sales & Service, Inc., satisfied the needs of local schools, hospitals and manufacturers. During the 1970’s, Cici Engineering continued to expand its staff by adding service technicians new product lines and a large parts inventory to cover all types of heating needs. In the 1980’s, Tom Cici Sr.’s children, Frank Cici and Margaret Russ joined the company and added expanded expertise to the company. In 1990, Cici Engineering moved to its current location on the north side of Evansville, near Hwy 41. Tom Cici Sr.’s daughter, Marie Dasher, joined the company in 1993. On September 1, 2006, the company changed its name to Cici Boiler Rooms, Inc. to better describe the company’s capabilities within the heating industry. In May of 2013, Cici Boiler Rooms, Inc. continued the family tradition by adding a third generation family member to the sales staff. Today, Cici Boiler Rooms, Inc. specializes in parts for all brands boilers and burners, including obsolete boilers and burners, such as Gordon-Piatt, Kewanee Boiler and Ajax Boiler. Cici Boiler Rooms, Inc. has sold parts to all fifty states and over forty countries.